Saturday morning felt like mid-summer in the Bonnievale valley. One’s first instinct when the warm air greets you at the door is to retreat into the cool darkened interiors of the house to busy oneself with civilised pursuits that do not involve perspiration. Unfortunately the garden does not wait for cool days. It demands constant attention. Be it watering, harvesting, shaping, planting or cleaning. While Keith went to Klaasvoogds up the valley to collect the new season’s olives for bottling, I shaped the leaf canopy of the grape vines, cleaned the beetroot bed, cut back some plants that had finished flowering and picked up fruit that had dropped from the trees. On Keith’s return, we could quickly load the bakkie and take a load of overflow garden refuse to the local landfill before it shut. 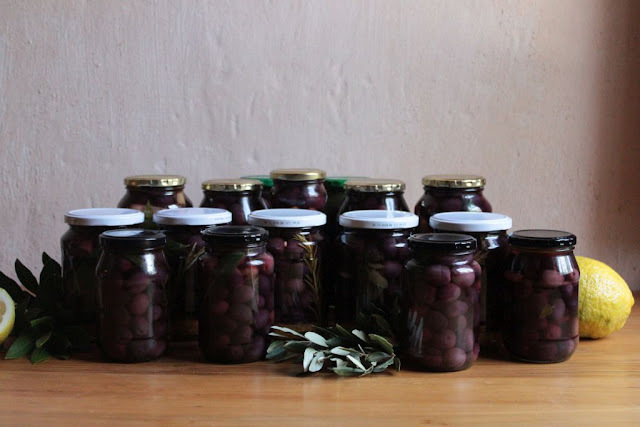 Following a quick lunch, we prepared the kitchen for bottling 10 litres of olives. With the preserve jars sterilised I prepared the brine of salt water, vinegar and spices. 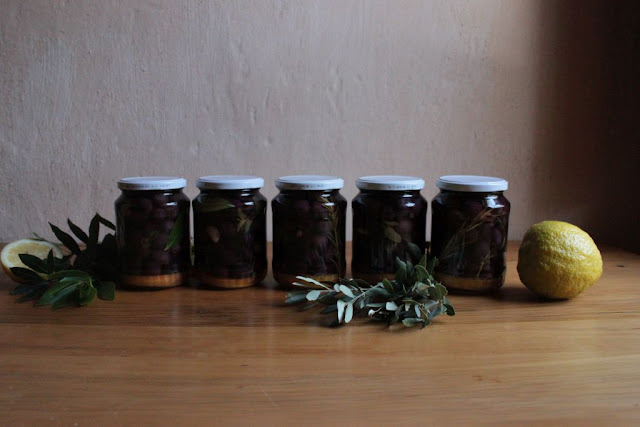 The first 5 litres of olives I decided to give a true Klein Karoo flavour with fresh herbs from the garden. 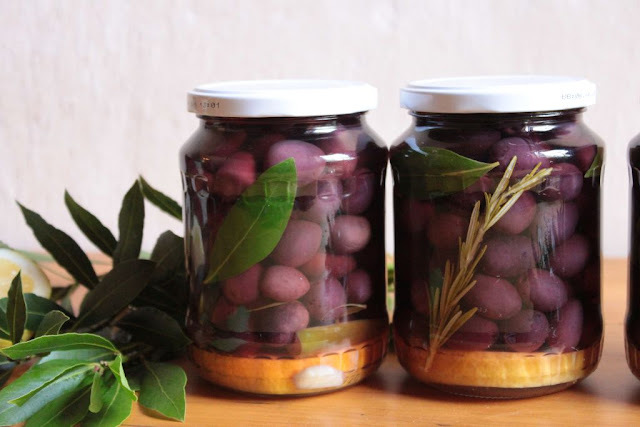 I added fresh lemon pieces, garlic, herbs and a green chilli to individual jars as Keith filled them with olives. 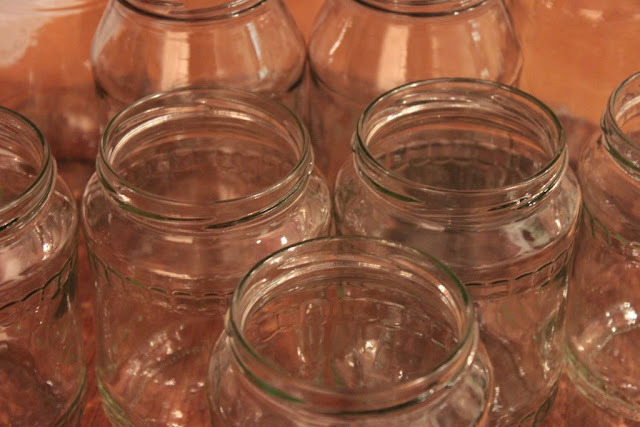 After topping-up the filled jars with the brine and a layer of olive oil, we sealed them, putting them aside to cool before storing them in the cellar. 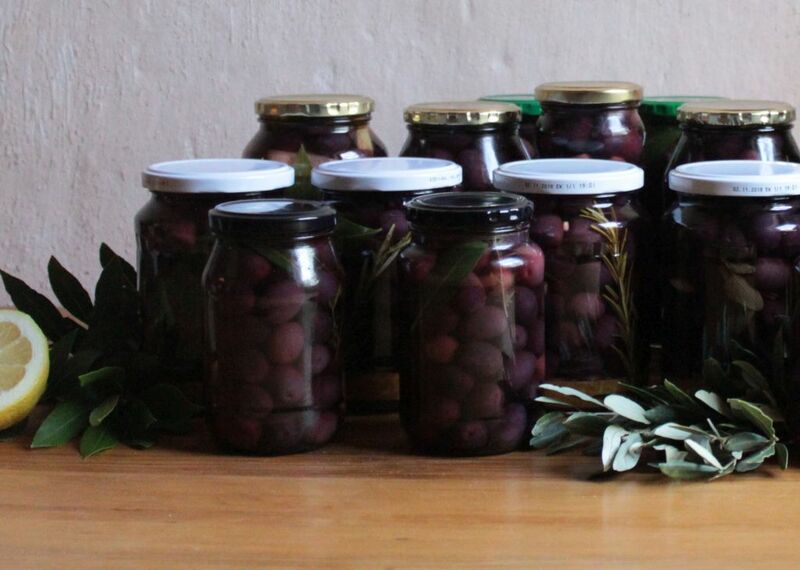 The next 5 litres of olives we preserved in a herbal brine. 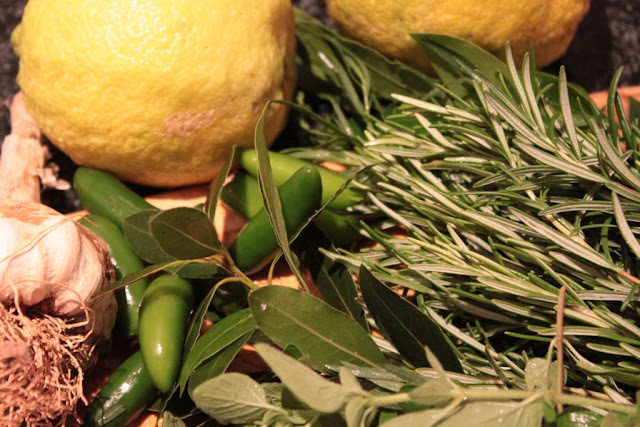 The brine was prepared with a salt water and vinegar solution and heated with a selection of fresh garden herbs. Having to fit a whole week’s gardening and culinary tasks into a weekend can be exhausting. But sitting back and seeing what had been achieved was very satisfying. An afternoon spent bottling and preserving olives will soon translate into delicious summer meals. 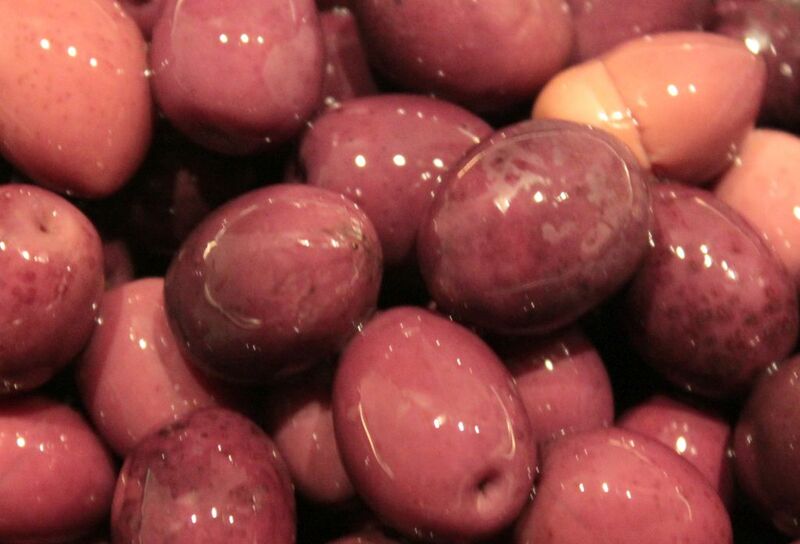 These will include olive pates, tapenades, salads and a variety of summer platters featuring the pale dark delicacies. 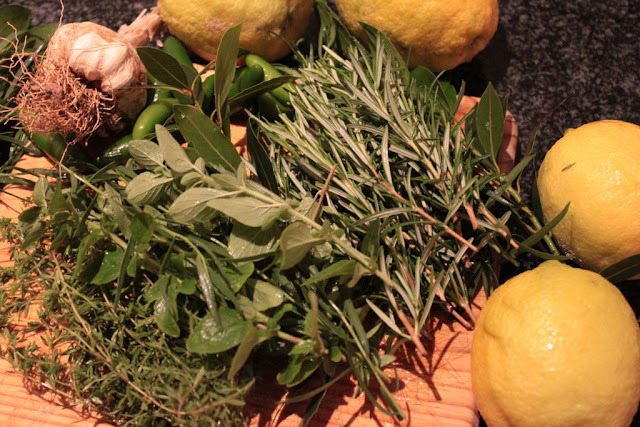 In winter they will liven up oxtail stews, pasta puttanesca, chicken roasts and many other dishes. The olive is so versatile. One can quite understand the industry that so many countries have built up around this fruit. It is a familiar delicacy that has been around for more than 5000 years. With all the olives bottled, we could enjoy a well-earned break with a pot of rose-infused Earl Grey tea and tuisnywerheid (neighbourhood) homemade chocolate cake. I love reading your posts. Looking forward to the next one! Thank you Estelle I appreciate the feedback. Such is the nature of a country lifestyle, demanding in physical exertion but more than equally rewarding in the returns. Thanks for sharing these insights.